It was not until I returned home after traveling for the better part of six weeks, that I realized just how much of my everyday life had been removed. It wasn't just the comforts of home, that were sorely missed, but the ability to write, connect and help others seemed to have as great an impact on fellow CML’ers, as it did me. I tried to keep up with communications as best I could, but we were actually at places that we had little time, and often no internet. The result was that my inbox was flooded with correspondence regarding chronic myelogenous leukemia; the pain, the gain and the everyday living with a chronic cancer. It never occurred to me that I would ever be in the position, that my opinion mattered; let alone helped others that were paddling up the same creek as me. Of course most of the information can currently be found on my blog but you have to use the “search” feature, which coupled with the amount of information that is available, I totally understand that it is just easier to send me a personal note; which I totaly, not only understand, but prefer! I promise, that someday soon, I will get on “that” book! That being said, here are the some of the things that work for me. I personally only “treat” my pain when I have it; I do not use any of these prescriptions unless I need them; this may or may not be a “good” thing; but for me, I want as few medications running through my body as possible. I will also add that my oncologist, after reviewing my MRI, and tests from the neurologist (to rule out the possibility of my pain stemming from something other than Sprycel), has added Neurontin to my “bag of tricks” for peripheral neuropathy (nerve pain). I have yet to fill the prescription, so I cannot share any info regarding my personal experience of this drug. 1. Back Pain; sometimes this pain is skeletal and sometimes it is muscular; it also can cause my legs to have a numbing sensation. My first line of defense is Voltaren Gel, it is a nonsteroidal anti-inflammatory drug. It is topical and I use it sparingly, a little goes a long way and I like the fact that I can treat the exact place that I hurt, without having to orally take an anti-inflammatory medication. This medication can cause bleeding and should be used sparingly; it is a prescribed medication so your doctor can advise you of your risks. When I am having muscle spasms, I take 5mg of Baclofen; this usually does the trick. It is a muscle relaxer and it does not make me sleepy. If the pain continues, I will use a Lidocaine patch, these patches, 5% Lidocaine can be used twelve hours on, twelve hours off. Once again, I like to treat the location of the pain, when possible. I also use a heating pad. 2. Foot Pain; for me this is peripheral neuropathy, nerve pain at its best. It can be so extreme that there are times that I cannot even bear weight on my feet. The first thing that I use is the Voltaren Gel, my second line of defense is a Lidocaine patch; cut up into squares to cover the area in pain. I have also taken Ibuprofen; approved by my oncologist. The next time the pain is extreme, I will probably try the Neurontin, although I must admit that I am a bit reluctant. 3. Hand Pain; this is also peripheral neuropathy and has improved with the decrease of Sprycel, from 100mg to 70 mg. I am still waiting to see if my negative PCR has held on this dose. I mostly have hand pain at night; so extreme that it wakes me from a sound sleep; my hands will be so numb at times that I feel as though I could literally break a finger, and not feel it. I have been applying a small amount of Voltaren Gel to my wrists and hands right before I go to sleep; this seems to have helped. When I do not use it, I wake up to throbbing, numb hands. I am hoping that this routine will allow me to continue to sleep, without having to take the Neurontin, on a regular basis. 4. Extreme Intolerable Pain Anywhere: this is pain that has escalated to the point of being intolerable; for many consecutive days, with no relief in sight. When the pain has reached a point of being completely unbearable, I take a short, approved break from Sprycel. This is a last resort but is approved by my oncologist; he believes that sometimes our body’s just need to recover from the toxicity of these drugs and a break is actually a healthy measure for our overall well-being. Fortunately this break seems to resolve my pain issues, within a day or two. After a visit to my daughter, I am going to try to use the essential oils that she gave me; Frankincense and Deep Blue. I am always going to be in search of the most effective and natural way to treat my pain. I suppose that it will be an ongoing journey in my fight with CML. I hope that this information will give you some ammunition to take to your oncologist, and I would love to hear what is in your pain management toolbox, too. Hi... I use organic Turmeric (spice powdered) mixed with black pepper to help with pain - headaches, knee injury and general pain. I don't have cml, but was wondering if this could help or is ok to take with the cml meds? 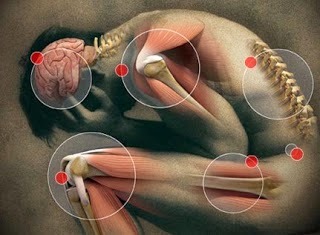 Many pains are created by inflammation and the turmeric/pepper mix addresses that directly. Just wondering. Frankincense and Deep Blue are really great essential oils!